On a seven mile journey from Jerusalem to Emmaus, the resurrected Jesus captivated two travelers with stories from the Old Testament pointing to his life and death. Walking with Jesus through the Old Testament invites readers to embark on this journey with Christ throughout the Lenten season. 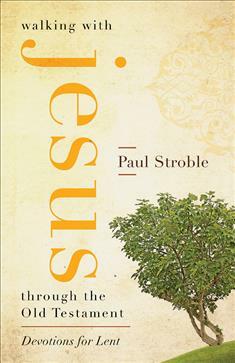 Stroble imagines what Jesus would have said to his companions and guides readers along the way with forty-six devotions referencing the Old Testament. A prayer and a set of "digging deeper" activities are also included to help readers engage with each reflection on a personal level. Readers will ultimately come to the Easter celebration with a fuller understanding of God's promise fulfilled by Jesus' death and resurrection.